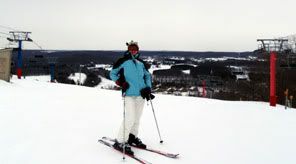 If you like to play in the snow a great Midwest destination for winter fun is Michigan’s Shanty Creek Resort. Located in the northwest corner of the mitten state, about 30 miles northeast of Traverse City, Shanty Creek Resort offers up some of the best Alpine skiing in the Midwest. Having recently undergone a $10 million dollar renovation, Shanty Creek has much to offer visitors whether you come for the snow in winter or the sun in summer. The resort boasts a 4,500-acre recreational complex perched above the village of Bellaire. The ski area features a 450-foot vertical with 52 runs for every ability level, plus four snowboarding terrain parks and a tubing park. 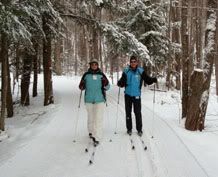 In addition to Alpine skiing, there are plenty of scenic trails for Nordic skiers. Other facilities include over 500 rooms, 72 holes of championship golf, a Wellness Spa and over 35,600 square feet of meeting space. Located in Michigan’s Chain of Lakes region, the rolling terrain makes for a perfect winter resort setting. (Ski Magazine rates it the Midwest’s number-one destination in value, dining, lodging, weather, and après ski activities.) The resort complex is three interlocking “villages” – The Summit, Cedar River, and Schuss, all are connected by trail systems and serviced by a shuttle system. If it’s plenty of the white stuff you’re eager to find Shanty Creek may just have the lift ticket you’re looking for. 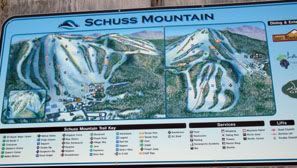 This year the resort is introducing new runs, lower prices on lift tickets, lighted night skiing for both Alpine and Nordic, and a winter season full of special events and festive outings at its two mountain ski area locations, Schuss Mountain and Summit Mountain. 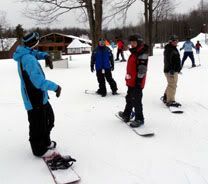 The resort offers what it calls “Michigan’s most affordable lift ticket,” the Summit Only package. It's considered one of the best ski values in America and includes a ski/snowboard rental option for an additional reasonable fee a day. A number of other ski packages are available during winter holidays and special events. 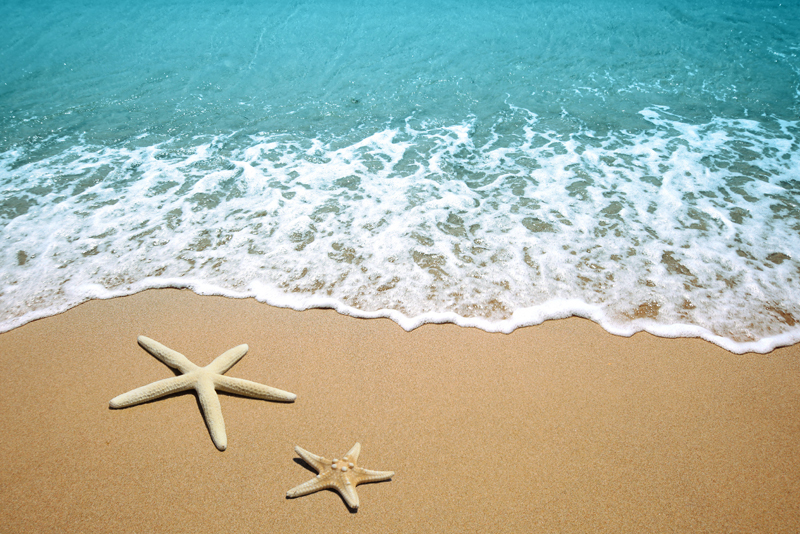 The Traverse City area has long been known as a fun-filled four-season playground. With its stunning outdoor landscapes, this area boasts just about any type of outdoor recreation you can dream up. To complement its picturesque outdoor beauty you’ll also find award-winning wineries, boutiques, galleries, fine food, shopping, and entertainment. Regularly scheduled commercial flights land at Traverse City Cherry Capital Airport daily so it’s easy to get to. 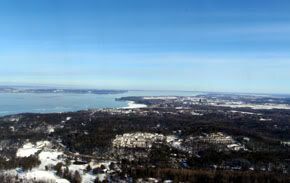 For winter visitors who prefer to stay closer to Traverse City, two, day ski areas, Mt. Holiday and Hickory Hills, are options. Mt. Holiday with its dramatic views of East Bay is a community-run ski area just east of town with 16 runs, two chairlifts, a tubing run and terrain park, and a day lodge. On the other side of the city is Hickory Hills; a small municipal ski area nestled in a deep bowl of tree-topped hills less than five minutes from downtown that offers eight runs served by old-fashioned rope tows. For more info about Traverse City, Shanty Creek, or visiting Michigan visit: www.traversecity.com, www.shantycreek.com, or www.michigan.org.